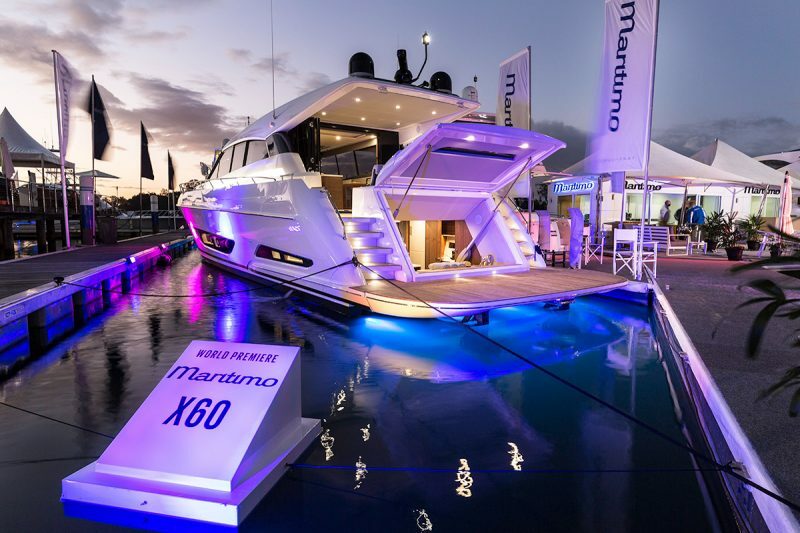 Representing a totally new era in luxury sport yacht design the new Maritimo X60 has made an instant mark on the boating world, already generating strong interest and sales following its world premiere at the 30th Annual Sanctuary Cove International Boat Show last week. Integral in X-Series design is the versatile aft cabin space that enables high levels of custom-ability for owners to cater to the space to their specific requirements. 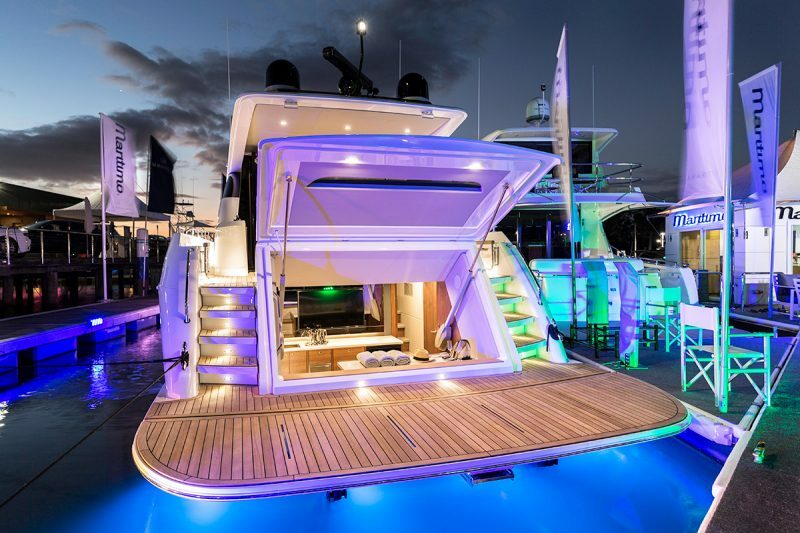 Inherent in both the X60 and X50, the space enables an additional cabin accessible from saloon and swim platform, that can be arranged as Beach Club, Additional Stateroom, Tender Garage, Euro Galley and other custom options. Maritimo lead designer, Tom Barry-Cotter said the X60 was one of the most versatile sports motor yachts available in the international market, with multiple arrangement options of the Aft Cabin, and Regency Suite. 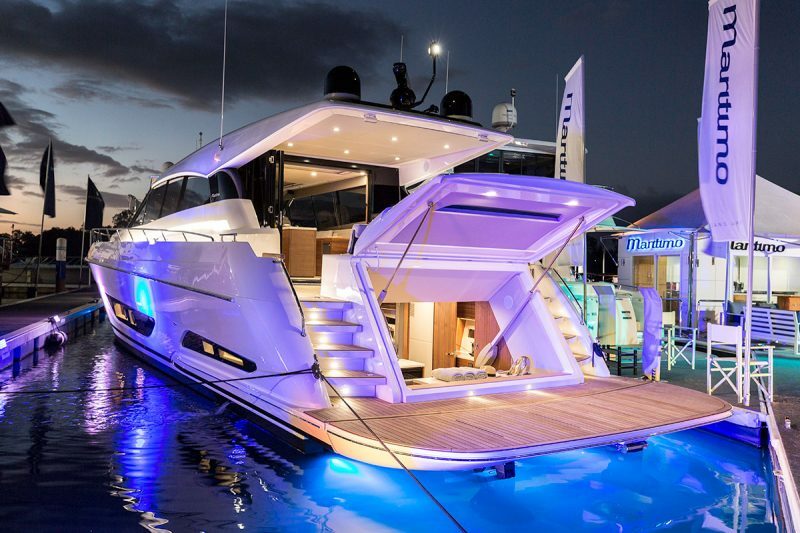 “The additional aft cabin is completely unique and is resonating with buyers within the sports motor yacht market. Its ability to add extra accommodation space that is similar in size to an additional master cabin in terms of volume, is clearly something special”. Inherent in the X-Series bloodline will be the company’s race driven performance prowess. With a complete new efficient shaft-driven hull and driveline design, the X60 has been tested at speeds up to 34 knots with 925hp Scania power, with excess speed capability available with Volvo 1000hp power option. Hull efficiency within the cruising speed range was a major focus of the state of the art hull and driveline design. The X60’s class leading range and economy has been recorded at over 30 knot cruise and consumption rate of under 100L/h per engine at 27 knot cruise. With superior economy and greater fuel capacity than direct competitors, the X60’s range capabilities are revolutionary within the sport motor yacht segment. The new era variable deadrise hull design with deep-v bow entry, also offers a soft dry ride, whilst weight distribution within the hull design allows for effortless transition to plane and running attitude through the RPM range. Maritimo has also worked closely with Twin Disc in the development of marina maneuvering EJS joystick systems. The latest Twin Disc System has the most sensitive joystick docking ability in the industry, enabling stress free docking in tight spaces. The X 60 is fitted with Twin Disk Quickshift transmissions, EC 300 Electronic Control System, Express Joystick and has the option of being fitted with Express Positioning System technology which enables precise and continuous position and heading hold. Development has also commenced on the next model within the X-Series Range, a Maritimo X50. We expect the world premiere for this new model to be in 2019. For more information on the Maritimo X60 Sports Yacht or the X-series in general, contact Ormonde Britton or Spence Thorpe.